THE ALL EDIE ALL ANDY ALL ME ALL YOU ALICE IN WONDERLAND II has just published in SYNTAX #2: TOO MUCH NIGHT edited by CS Leigh. More information on Syntax Editions is available here. 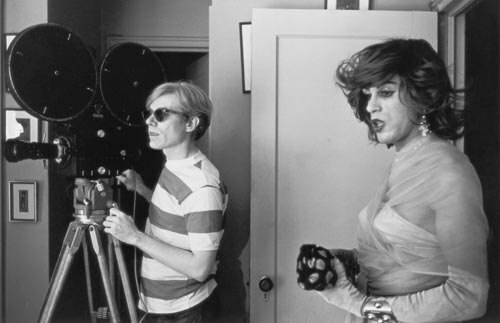 In its content, language and form, this essay explores my response both to Warhol’s 16mm film work, and the performance style of Mario Montez and Jack Smith. In the context of VerySmallKitchen I am interested how the methodologies of these performers, the way they position themselves in regards to space, time, and notions of self, can be applied to the acts of expanded writing practice chronicled on this website. …This is rumours and whispers, started by Warhol himself, a delirious dream of a phone conversation with B, pieced together from pirated extracts on You TUBE. This is about Warhol’s 16mm films providing a working language for writers and artists in 2009. This is nothing new: once the 16mm films were talked about without being seen and that was their influence. Before this, in January, I was in Other Voices, Other Rooms, the Warhol show at the Hayward gallery. Trying on headphones, watching cable TV shows, pleasurably, blankly bored, hopefully in the hyper-productive Warhol way. I pass a video fragment of Edie Sedgwick, where she remarks, slowly and thoughtfully, that Warhol should make a film of Alice in Wonderland, partly because of their shared AW initials. Sedgwick laughs and says she knows that lots of things have those initials. She also emphasises how, unlike an earlier Disney version, Warhol’s AW would use real people because – I’m paraphrasing – there are so many fantastic people around who could play all the parts. Other Voices Other Room was maybe a first draft towards AW’s AW. Confused, incoherent, and incomprehensible in its totality, it tried to treat Warhol’s oeuvre as a whole, without value judgements about film or video. It ended up as a microcosm of the issues faced by Warhol obsessives, curators or not, in 2009. In the Hayward I sat and watched whole episodes of cable TV shows, before heading through a room of digitally transferred 16mm work, noticing images but not stopping to experience the duration of what, in the cinema, had absorbed me.